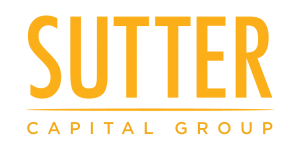 Sutter Capital Group acquired the Offices at Retro Lodge by purchasing the loan secured by the property in a compressed transaction time frame and foreclosed on the property shortly thereafter. The Offices at Retro Lodge is a 25,000 SF two building office complex located in downtown Sacramento that was converted in 2008 from its former use as a motel to creative office suites. Sutter Capital Group was attracted to the high quality nature of the conversion project, the central downtown location and the property’s unique positioning to offer a high quality and creative office environment to a diverse set of small and growing businesses that want to locate in downtown Sacramento. The property had become mismanaged, and Sutter Capital Group implemented an aesthetic enhancement program including new landscaping, monument signage, lighting and an art program including two large murals to create a better sense of place and further distinguish the unique property. For more information on this project please visit retro-lodge.com.